You can manage requests and approvals of holidays, permits and overtime. With the attendance form, the employee stamps the start and end time. Stamping is also possible off-site, via mobile. At the end of the month a report will be drawn up, with presences, absences, etc., to allow the processing of payrolls. 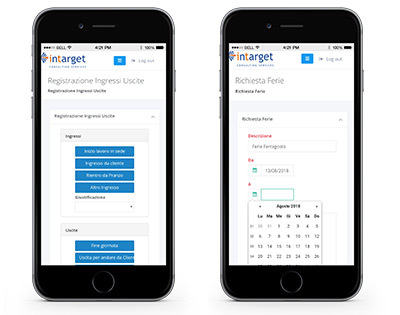 You can manage requests and approvals of holidays, permits and overtime and with automatic notifications each Line Manager can easily monitor the absence of his team and make sure that the necessary resources are always present. © 2017 Omnia BPM | All rights reserved.